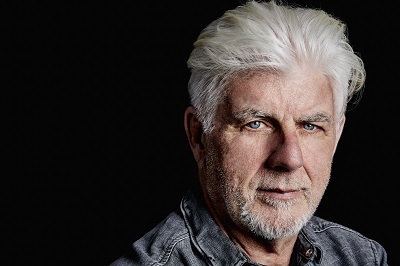 A prominent part of the soundtrack to our times, Michael McDonald has been thrilling listeners with his distinctively soulful style for four decades. From "70s-era Doobie Brothers classics such as "What A Fool Believes" and solo hits like "I Keep Forgettin?" through two highly-acclaimed Motown covers albums and recent guest spots with alternative buzz bands Grizzly Bear and Holy Ghost, the five-time Grammy-winning McDonald is that rare thing in contemporary pop music – an artist and songwriter whose work is both timeless and ever-evolving. Along with his musical contributions, McDonald has long been an active humanitarian. Over the years, he has lent his performing talents to many causes and benefits, including Toys R Us Children?s Fund, MusiCares, the National Council of Alcoholism and Drug Abuse and the 7UP Grammy Signature Schools Program. Most recently, in April 2011, he was part of a star-studded lineup at Kokua For Japan, a concert that raised $1.6 million for tsunami relief. Yet for all his accomplishments, McDonald has kept a modestly low profile. Shunning theatrics and trend-chasing, he has trusted in the power of his singular voice and a deep catalog of memorable songs to point the way through his long career. Few have made such an impact with so little media hoopla.